A venture capital fund's life cycle can help you determine the fund's suitability for investing in your business. A VC fund that's at the end of its life cycle should have a consistent record of major wins and a history of investing in businesses with products or services similar to those of your company. VC funds typically have a lifecycle of about year10s, although they can usually be extended for a few years when a private company still needs liquidity. The stages of a VC fund's life cycle include the fundraising, investment, management and exit stages. The fundraising stage of the VC fund may require a month to several years. The VC fund's general partners raise money by issuing an offering memorandum to the fund's limited partners. This memorandum typically attempts to convince the limited partners that the general partners have a unique expertise or insight into a specific market segment. The fund closes once the VCs have raised the required money, which begins the fund's fixed lifetime. VCs refer to the year in which this occurs as the fund's vintage year. The investment phase of a VC fund usually lasts three to five years, during which limited partners have a fixed commitment towards the fund known as a capital call. Limited partners who fail to participate in a capital call are usually subject to substantial financial penalties. VC fund managers will be under pressure to gain liquidity for their investment if you raise money from a fund that's at the end of its investment phase, even when that liquidity is premature to the investment's development. This means that you should give primary consideration to funds that are at the beginning of their investment phase so that you can hold on to the investment as long as possible. The management phase of VC fund lasts five to seven years, during which the focus is on managing the initial investment and making follow-on investments. The general partners of a fund have a fiduciary duty to manage the investment, meaning they will typically sit on your board of directors. This time commitment limits the number of companies in which a VC fund can invest, usually to no more than 10. VC funds have a defined lifetime, meaning that its general partners must always be ready to sell even as they are exploring investments. 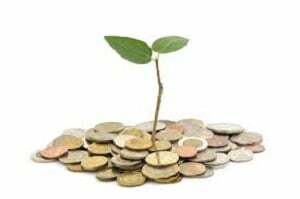 A fund may enter its exit phase for a variety of reasons such as finding an attractive buyer or attempting to salvage as much capital as possible from a bad investment. The fund's investors typically win only when your company goes public or they acquire your company.